The King’s Hall opened on 21st October 1911. 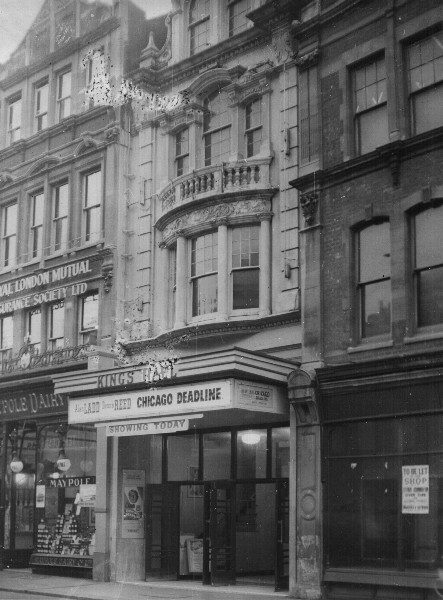 It was Dover’s first purpose-built cinema, and has a narrow entrance. Designed in a Neo-Classical style by architect A.H. Steele with 800 seats in stalls and circle levels. Live entertainment was introduced in 1913, performed on the 36 feet deep stage. There were nine dressing rooms. In 1931, the seating capacity was increased to 1,050, and other improvements were made. In the summer of 1933, it was briefly re-named King’s Cinema, but soon went back to the King’s Hall name. The building was destroyed by fire on 29th December 1937. Only the entrance facade was saved. It was re-built to the plans of architectural firm Verity & Beverley in August 1939, but was immediately requisitioned by the Royal Navy to train recruits for the duration of World War II. During this time, in in July 1943, it had been taken over by the Oscar Deutsch chain of Odeon Theatres Ltd. The King’s Hall re-opened on 14th July 1947 with David Farrer in "Frieda" and Chips Rafferty in "Bush Christmas". David Farrer made a personal appearance at the re-opening. 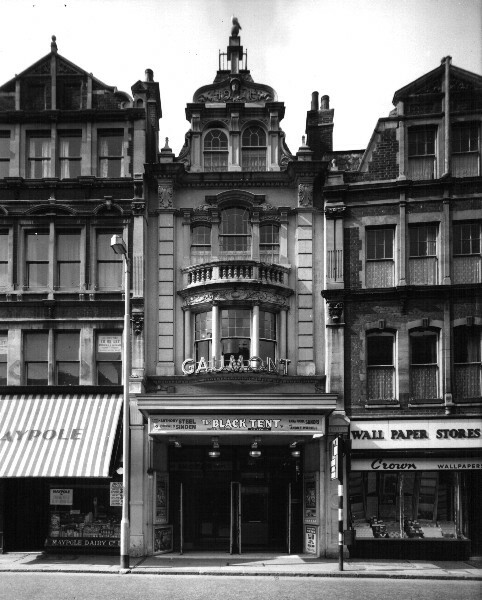 It was re-named Gaumont on 15th January 1951, and was closed by the Rank Organisation on 26th November 1960, with Rod Taylor in "The Time Machine" being the final film. Converted into a Top Rank Bingo Club from 19th March 1961, it was later a Zetters Bingo Club and today operates as a Gala Bingo Club.